As part of Ford Motor Company’s commitment to STEAM education, the company is teaming up with Academics in a Box – designers of the award-winning Groovy Lab in a Box product line – to deliver an education kit right to a student’s doorstep. The box is designed to challenge kids to think like a Ford engineer, giving them the tools to build a prototype of a Mustang GT – to engage them in learning core STEAM principles. 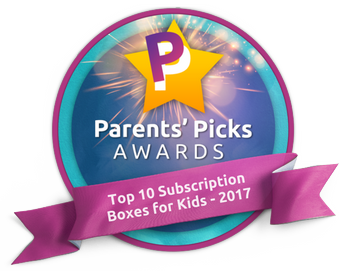 June 1, 2016 /PRNewswire/– Groovy Lab in a Box, the award-winning educational kits for kids ages eight and up that teach about science, technology, engineering and mathematics (STEM), today announced a partnership with Popular Mechanics to regularly release special Popular Mechanics boxes. The first box to launch is “What’s the Matter,” a project about the scientific properties of ice. It is featured in the June issue of Popular Mechanics (on newsstands now) and is available for purchase at groovylabinabox.com. The “What’s the Matter” kit guides kids through an investigation of the states of matter (gas, liquid and solid) and teaches them about the properties of ice. Kids are tasked to design the lighting of a “groovy” ice hotel and build a portable lantern out of ice. Each Groovy Lab in a Box kit comes with an engineering challenge and all the materials needed to complete the project, including a lab notebook where kids can read about the task and related STEM topic and record their findings. Science, Technology, Engineering and Mathematics (STEM) and Art (STEM+ART=STEAM) education are as vital to individuals with disabilities as they are for everyone else. In celebration of the 25th anniversary of President George H. W. Bush’s signing of the Americans with Disabilities Act (ADA), there was a special theatrical presentation by The Hurrah Players and its partners of Three Blind Mice: Against All Odds written by Playwright Corey Staten, “The Talented Blind Guy,” who uses comedy to shed light on the world of individuals with different abilities. The play was featured in a “Come, See, Taste, Explore” dinner theatre experience held on Tuesday, August 25th at the “Taste & See” Banquet & Conference Center in Norfolk, Virginia. Science, Technology, Engineering and Mathematics (STEM) projects would be a super addition. As scientists, educators and parents, they understand the importance of engaging and motivating children to use their imagination, determination and inquisitive nature to learn; a mission it shares with the hospital. For children at Monroe Carell Jr. Children’s Hospital, many of whom have acute and chronic medical conditions which confine them to the hospital for lengthy periods, bringing a fun, hands-on learning experience to them was exactly what the doctor…and teacher ordered. So, that’s exactly what Hansen did. They donated a supply of their Groovy Lab in a Box STEM projects to be part of the hospital’s Mobile Makerspace, which is the first of its kind in a children’s hospital setting in the nation. While summer is winding down and kids are getting ready to return to school, many parents are already wondering how they can help make the transition easier and more fun. Well, scientist, teacher, entrepreneur and parent, Elaine Hansen would like to offer a suggestion. How about a “Groovy Lab in a Box” (www.groovylabinabox.com) STEM project? Hansen is the president of Academics in a Box, maker of the award-winning “Groovy Lab in a Box” Science, Technology, Engineering, and Mathematics (STEM) projects. Each project was designed to motivate children ages 8 years and up to use their imagination, determination and inquisitive nature to complete a unique engineering design challenge. They are a great way to get children to have fun with the STEM subjects, while building their knowledge. In addition to wanting the best education for all children, the creator of “Groovy Lab in a Box” (www.groovylabinabox.com) STEM projects and president of Academics in a Box Inc Elaine Hansen, recently showed her deep compassion for animals, especially those in need. She responded to a request from Dr. Amy Crutchfield, a veterinarian with Northwood Animal Hospital (Tallahassee, FL). Knowing the popularity of their Science, Technology, Engineering and Mathematics (STEM) projects for children ages 8 with children and parents alike, Dr. Crutchfield asked Hansen for a donation of a Groovy Lab in a Box subscription to be raffled off for the Hospital’s affiliated nonprofit, Companion Animal Rescue Endeavor’s (CARE) Casino Night fundraiser. Hansen, a scientist, educator, entrepreneur and parent, whose children also include furry, four-legged ones, was only too glad to help. There’s no better way to engage a children’s inner STEMist then letting them get hands-on. 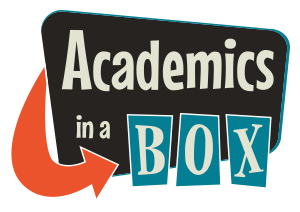 Academics in a Box, Inc. has created another great Groovy Lab in a Box STEM project. This one, “It’s Electric!” was designed to teach children, ages 8 years and older about static electricity, the structure of the atom, paper circuits and switches. Children explore electrostatic attraction in the “Stuck on You!” exercise, learn about circuitry and resistance with copper foil tape by building “Paper Circuits”, and learn about switches in the “Buzz Me In!” challenge using a door alarm with buzzer and switch. What Dad wouldn’t like spending quality time with his child working on a project that also provides a super learning lesson for their son or daughter? Instead of another tie this year, consider giving Dad a “Groovy Lab in a Box” (www.groovylabinabox.com). Created by Academics in a Box, Inc. president Elaine Hansen, a scientist, parent, educatos and entrepreneur, the “Groovy Lab in a Box” projects are Science, Technology, Engineering, and Mathematics (STEM) projects.